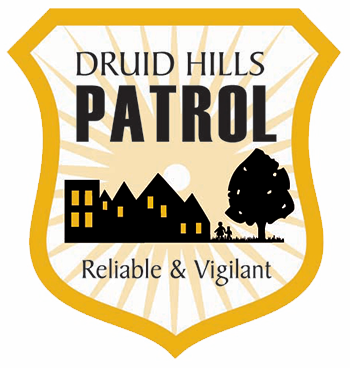 Welcome to the Druid Hills Patrol. The DHP is a nonprofit organization, funded by members and managed by volunteers, whose mission is to make Druid Hills SAFER by employing off-duty police officers to patrol our community. Complete this FORM to JOIN the DHP today. We offer REAL police protection. Are you in the DHP Patrol Area? The DHP officers’ ONLY assignment is to deter crime and respond to emergencies in the DHP coverage area. 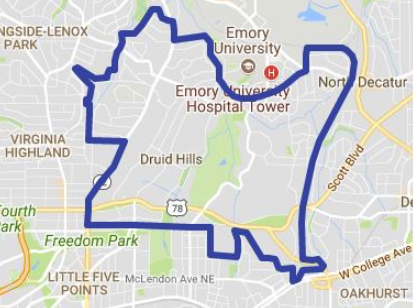 Is your property located inside the Druid Hills Patrol boundaries? Click on the map to zoom in to find your location in Google Maps.